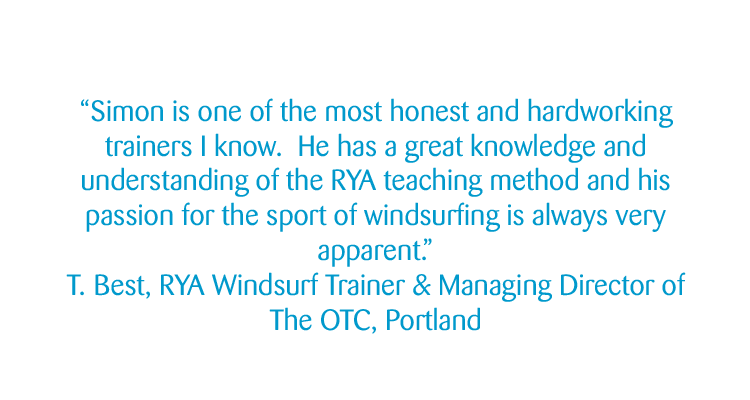 As a Windsurfing Trainer appointed by the RYA, Simon has 15 years experience of delivering Start and Intermediate levels of RYA Windsurf Instructor training and moderating courses across the UK and overseas. 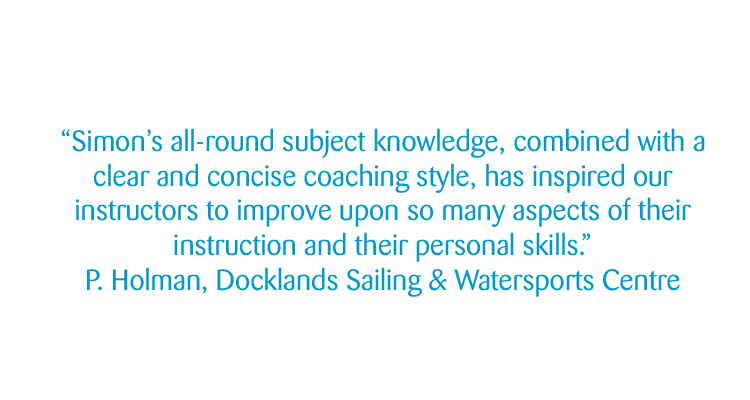 His courses and moderations are informative, enjoyable and - through his supportive approach - will inspire candidates of all ages to enjoy their time on the course and to learn how to deliver the best training they possibly can. 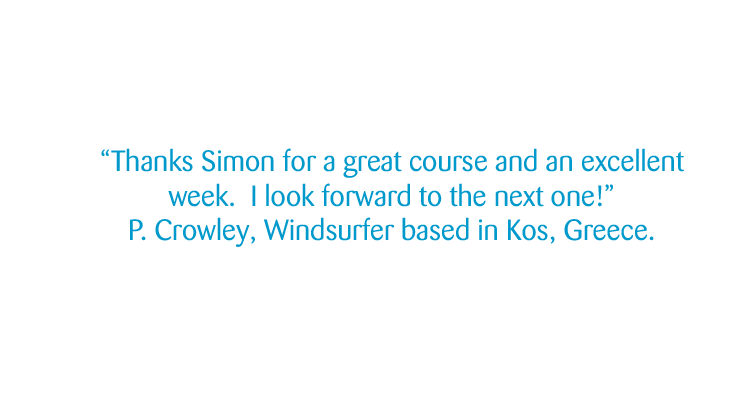 Click below to access some of these free resources (starting on page 50). 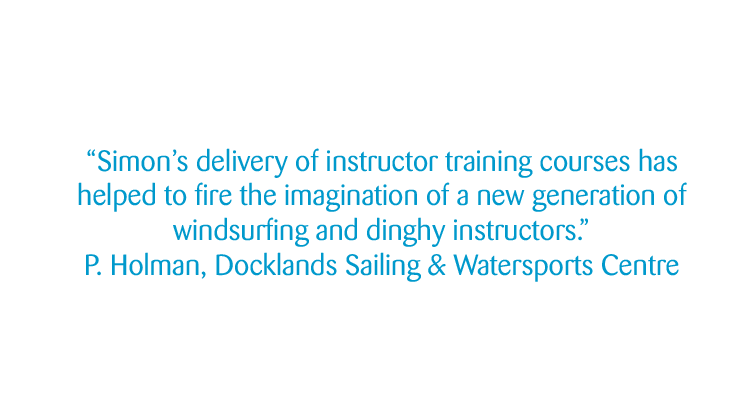 A 5-day course where Simon will train 'candidates with the correct pre-requisites' to be able to introduce newcomers to windsurfing in a way that is safe, effective and enjoyable. Or he can carry out the end of course moderation. Having run very high numbers of these courses and moderations across the UK and overseas, Simon is able to share a depth of knowledge and experience. A 4-day course where Simon will train 'RYA Start Windsurfing Instructors with the correct level of teaching experience and personal ability' to be able to fully unlock the delivery of non-planing and planing skills as well as fuelling everyone with a fresh energy for their own continuing skills development. 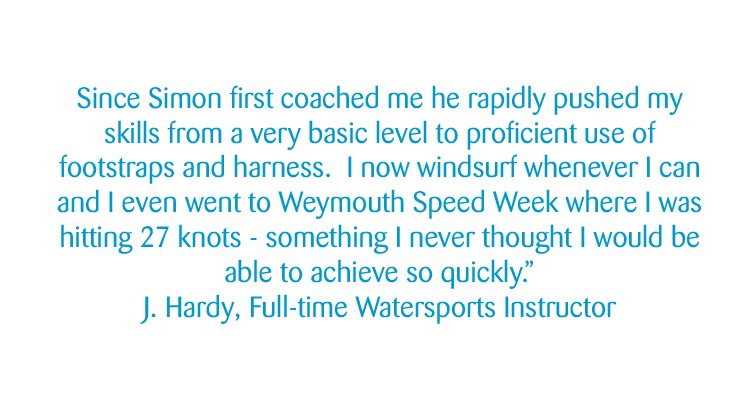 Simon has worked as specialist in this field since he undertook a developmental role in the RYA Fastfwd coaching model during the trials in 2004-5. Having run a significant number of these courses across the UK and overseas, Simon is able to share a depth of knowledge and experience. A 4-day course where Simon will train 'RYA Start Windsurfing Instructors (and above) with the correct pre-requisites and level of teaching experience' to be able to manage RYA windsurf training both ashore and afloat, ensuring that the work of the instructor team is safe, enjoyable and complete with valuable learning outcomes. 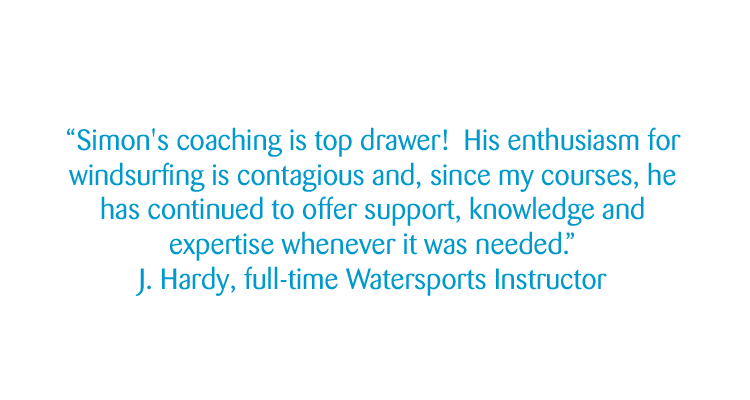 Possibly the last professional RYA course a candidate will take, the importance of this course can not be under-estimated - not only for the candidate but for the ongoing success of windsurf training in both commercial and volunteer club RYA Training Centres. Having run around 30 Senior Instructor courses across the UK and overseas, Simon is able to share a depth of knowledge and experience.